It’s a pretty lukewarm undercard at the FlyDSA Arena in Sheffield, but an intriguing step up leads the way. 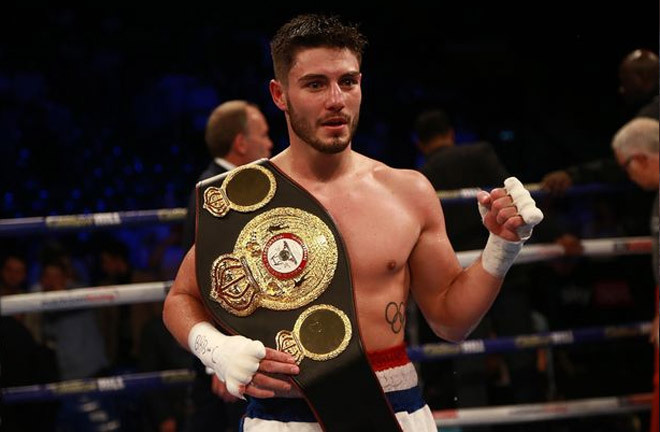 Sunderland’s Josh “PBK” Kelly (8-0, KO6) gets a stern test of his credentials, as former World Title challenger David Avanesyan (23-3-1, KO11) answers the call to attempt to take Kelly into deeper waters than he has been accustomed to thus far. Adam Booth trained Kelly has had things much his own way in the professional ranks so far, since turning over in April last year. He won the WBA International Title in just his sixth fight with a controlled and wide points win over former IBF Super Welterweight Champion, Carlos Molina in Cardiff on the Anthony Joshua v Joseph Parker bill in March this year, and followed this up by lifting the Commonwealth belt with a dominant seventh round retirement win over Australian Kris George. Russian born, and Newark, Nottinghamshire based Avanesyan has previously held the interim version of the WBA Title, and also has a win over the legendary Shane Mosley, albeit a faded version, in May 2016. 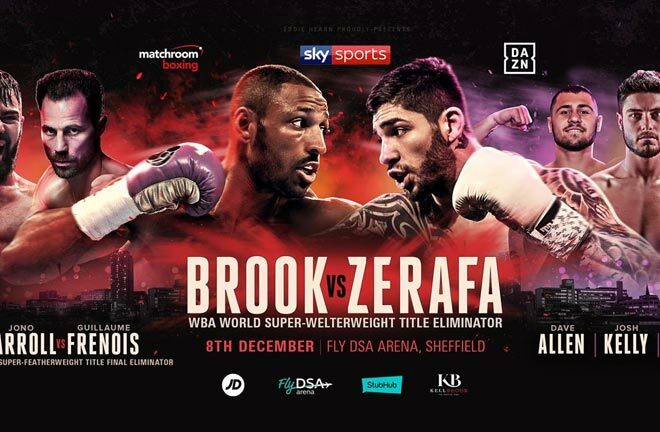 He challenged for the full WBA Title in February 2017, losing a points decision in a spirited effort against Lamont Peterson, and will come to Sheffield determined to win. He is however, coming off a stoppage loss, the first of his career, in February this year. Egidijus Kavaliauskas stopped him in six rounds in Reno, Nevada. I think this is a perfect opponent at the perfect time for the dazzling Kelly. His blurring hand speed and variety of punches have been eye catching so far. Avanesyan will definitely come to Yorkshire intent on upsetting the apple cart, and will attempt to rough Kelly up. A stoppage win would be a real statement from “Pretty Boy”, but I think Avanesyan can negotiate his way to the final bell, in a wide points win for Kelly. 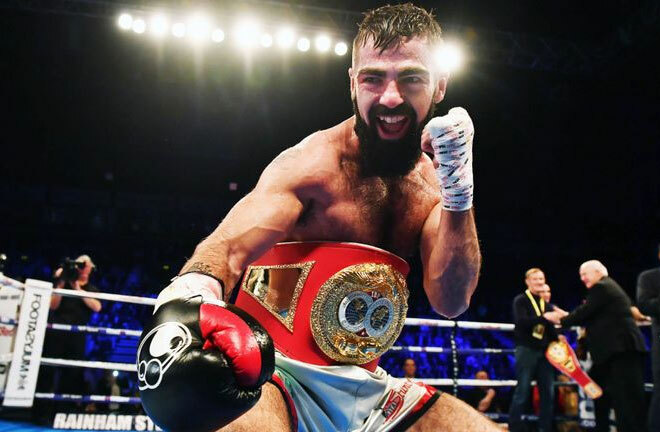 Jono Carroll (16-0, KO3) hopes to round off his fruitful 2018 campaign in style, and book a shot at IBF Super Featherweight Champion, Tevin Farmer in the new year. There has recently been several social media exchanges between the pair. Farmer first squeezes in a defence against Francisco Fonseca at Madison Square Garden next Saturday. The former Prizefighter Champion, and the current IBF Intercontinental Champion Carroll meets Frenchman Guillaume Frenois (46-1, KO12) in Sheffield, who is a former European Champion, but his record is a heavily padded one. “King Kong” Carroll has found knockout power in his last two fights, and impressively stopped Declan Geraghty in nine rounds last time out in June. You would presume after 47 fights, that Frenois would have previously challenged for a World Title, but he hasn’t come near to that level. I expect the Frenchman to be content to hear the final bell in this one. Carroll works with a high intensity, and is a non-stop, come forward fighter. I feel if the Irishman can put the heat on Frenois, then he will wilt towards the back end of the contest. I think Carroll can stop his man in the final few rounds. Kid Galahad (25-0, KO15) patiently waits for a World Title tilt, as he boxes an eight rounder against Nicaraguan trial horse, Brayan Mairena (10-4-1, KO4) on the bill. Last time out, in October, Galahad outpointed Toka Kahn Clary in an IBF Title eliminator, putting him firmly in line for the winner of the big Josh Warrington v Carl Frampton fight in Manchester in two weeks’ time. He will hope to kick on now after a chequered stop-start career, including a two year ban for a failed drug test in May 2015. Prior to this, Galahad had won British, Commonwealth and European Titles at Super Bantamweight. Mairena has only been halted once, against Gamal Yafai three months ago in Birmingham in the penultimate round of eight. Since venturing outside of his homeland, he has lost four on the bounce, and is firmly now in the “opponent” category. My feeling is that Mairena will weather an early storm, and Galahad will be forced to come through the long route, widely on points. Anthony Fowler (8-0, KO7) also gets a run out against an opponent to be announced as he chases big domestic fights in 2019.